Lilia Gaufberg shows her Zionist pride overlooking the Old City of Jerusalem. I am about to begin my final year as an undergraduate college student. 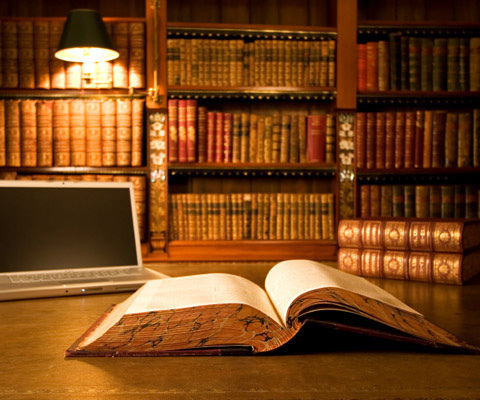 I have come to love my university over the time that I have been there: the students and professors alike have created an environment of engaged, discussion-based learning, and students are encouraged to question and to think critically in every area of study. Attending my school has opened me up to a world of knowledge and has allowed me to meet so many fascinating, unique people. All of these factors should prompt feelings of excitement, of relief, of warm and fuzzy nostalgia for what everyone has told me are the best four years of my life. However, I can’t shake this bitter, sinking feeling of returning to my university campus; one that claims to be liberal but is instead full of hypocrisies, where free speech is touted as a given, but dissent from the reigning narrative is often shunned and demonized. The last three years, with all of the beautiful moments, the breadth of knowledge I have been exposed to, and the growth that I have undergone, have been truly emotionally taxing. My proud Zionism, my outspoken love of Israel, has grown exponentially since beginning college. Starting as a freshman, I knew virtually nothing about Israel or about the region, but various experiences, including taking a class on the Holocaust, witnessing anti-Semitism parading as ‘anti-Zionism’ on my campus, traveling to Israel with Taglit-Birthright, and reading works written about Israel and Judaism, has caused me to begin exploring my identity more in-depth. My resulting loud-and-proud love of my Jewish identity, of Israel, has paved the way to me being alienated, criticized, and demonized. It is one thing to be attacked for various political ideals, such as being pro-life or pro-choice, for being for or against gay marriage, for supporting or denouncing this or that environmental policy. Politics, in general and by its nature, is messy, and being politically opinionated will inevitably get a person into hot water now and again. However, I have been struggling deeply with the fact that my very identity, my very core, my very spiritual and historical integrity, has incessantly been politicized, and subsequently, has mercilessly been questioned, denounced, and delegitimized, over and over again, during my time as a university student. I have been given the middle finger for wearing an Israel Defense Forces shirt while walking to class; I have been sneered at hatefully while tabling for Taglit-Birthright or my Israel group in the University Center; I have seen an Israeli soldier, who identified as gay and who I helped bring to campus to speak about his experiences in the IDF, being yelled at and labeled a ‘pinkwasher’ by hateful Students for Justice in Palestine members; I have been called a ‘Zionazi’ after posting a photo on Facebook of my Israel group and I with Kay Wilson, a survivor of Palestinian terrorism; I have had doors shut in my face on the way to the dining hall for having an Israeli flag tied to my backpack during Apartheid Week (or, as it should be more accurately named, Israel Hate Week); I have had arguments started with me in the library, out of the blue, after some of my peers saw the ‘I Heart Israel’ stickers on my computer. I have also, tragically, seen my Jewish friends shy away from their identity over the past few years, and I have felt recent Birthright alumni grow quieter and quieter in their excitement over Israel. I have witnessed various Jewish organizations on campus stray from hosting events that are ‘too political’ or ‘too polarized’ for fear of drawing protests. I have seen people who support Israel choosing silence for the sake of their safety and comfort, while the Israel-bashers and anti-Zionists grow louder in their hatred as they hide behind a deceptive veil of ‘Palestinian activism’, despite refusing to condemn a single one of the atrocious acts committed towards Palestinian-Arabs by their own ruling powers. Because of this, because of the grab-bag of propaganda, lies, and labels at the disposal of Israel-haters, and because of the culture of fear that has permeated the Jewish community when it comes to expressing support for the Jewish State, my university campus, along with many others, has become a nearly unbearable place to be for Israel’s supporters. As author and activist Gil Troy pointed out in his book, Why I Am a Zionist, “Viewing all of Israeli history through the prism of the Arab-Israeli conflict is as distorting as reducing all of Canadian history to the French-English struggle or all of American history to the black-white struggle.” Israel’s history is rich, and extends far beyond the narrow confines of conflict; its kibbutzim and moshavim, its flowering deserts and resurrection of an ancient language that the Jews have had ties to for thousands of years in and out of diaspora; the beautiful mosques and their calls to prayer in the Old City of Jerusalem; the Bedouins in the Negev who live by the stars and the Druze in the Galilee and Golan with their secretive traditions; the nightclubs of Tel Aviv and the Baha’i Gardens of Haifa. Israel is multi-faceted, and it is a unique country that is not able to be fully, or even partly, understood through the constricted dimensions that CNN and the New York Times so carefully craft. Allegations of apartheid are simply false; anyone who goes to Israel can see Jews, Arabs, Ethiopians, and Russians shopping together at supermarkets, being treated at the same hospitals, riding the same buses and working the same jobs. The term ‘occupation’ is mis-applied; occupation is when one sovereign entity takes over another, often militarily. However, ‘Palestine’ was never a sovereign country, and Judea and Samaria, more commonly known as the West Bank, is disputed territory, and is therefore not occupied by Israel. In fact, Israel has given large portions of the West Bank to the Palestinian Authority in the hope of coming closer to peace. The carefully-spun web of lies surrounding and encompassing issues about Israel can easily be untangled, if one is motivated to see past them to the truth. Zionism, the national liberation movement of the Jewish people, is a beautiful celebration of what it means to be tied to the Jewish culture, history, and religion. Just like any expression of nationalism, any celebration of peoplehood, Zionism offers a community and a common ground to unite over. Zionism binds every kind of Jew – secular, religious, Mizrahi, Ashkenazi – through their mutual story of struggle, wandering, and loss, and through their celebration of re-claiming their national rights and their dignity as a people. It is time for a Zionist revolution. It is time for my fellows lovers of the Jewish state, of its historical and spiritual significance, to allow the pride surging through our blood to come to the surface, and instead of falling back on names, dates, and facts, to show, through our love and our passion, why it is that we love Israel so much, and why Israel is a miracle. It is time for us to refuse to back down, no matter how terrifying it can be to face the toxic hate of the so-called Palestinian rights activists on campus, and no matter how outnumbered we are. It is time for us to bring the love, the beauty, the spirit, the simcha, and the pride that we feel, and weave it into the fabric of our daily lives, to bring it forth whenever we can and not just when we are faced with hatred. I made myself a promise a couple of years ago to always stand up for what is just and true; therefore, I will invariably defend the right of any people to self-determination, as it is a basic human right. The Jewish people have just, in the last 67 years, re-claimed their own self-determination after two millennia of living without it, and I refuse to allow anyone to delegitimize that. Defending Israel is exhausting, and it is often a lonely task, but it is one that is existentially essential. I will never stop, and I hope that my fellow lovers of Israel will not either. We will feel distressed, we will feel irate, we will feel hopeless, but I hope that we will continue to sing ‘Am Yisrael Chai’, no matter what. 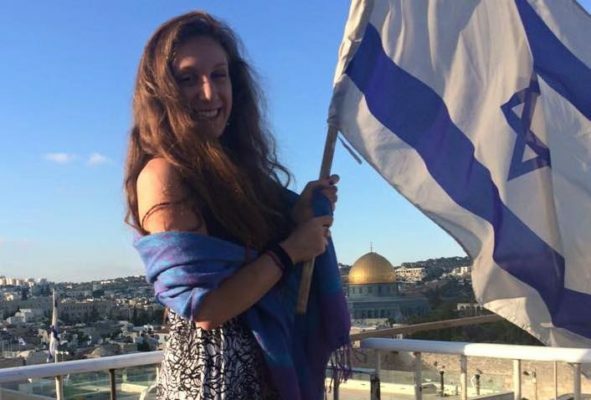 Lilia Gaufberg is a senior at Clark University and is a leader of its pro-Israel group CHAI. She is also an alumna of the 2014-2015 ZOA Student Leadership Mission to Israel.